Bertsch Portland2 Flat Roof Cabin: is a practical flat roofed Log Cabin ideal both for domestic or industrial / commercial use. 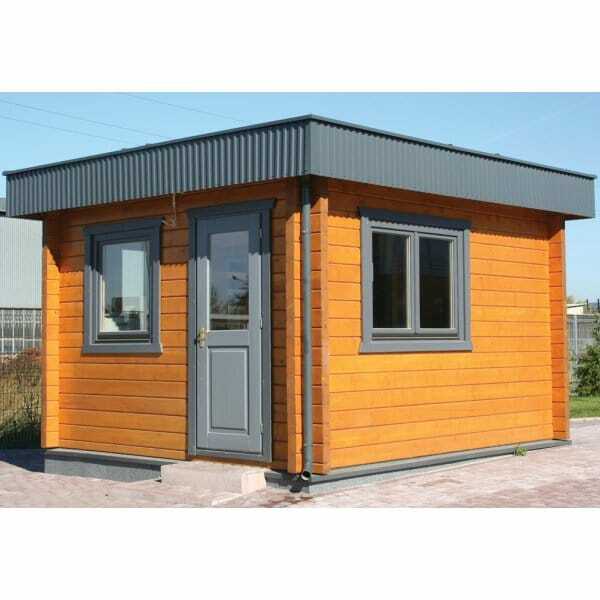 Featuring its flat roof to maintain a low height and with 3 windows allowing in lots of light this building is very versatile and could be used either as a garden shed or as an office space. This garden shed has 94 mm wall thickness and double glazed windows.